equality-to show how markets shape our culture, foster or thwart human development, and create and support structures of power. Nobel Laureate Kenneth J. Arrow calls this book "a work that will have to be studied and taken account of by all those concerned by the role of the market as compared with other social mechanisms." 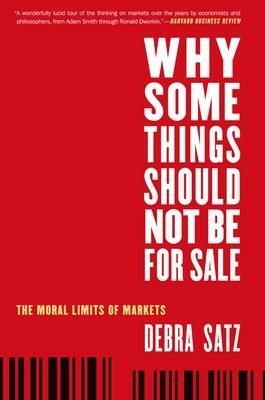 Debra Satz is Marta Sutton Weeks Professor of Ethics in Society and Professor of Philosophy at Stanford University.